Over/Under: Over 203.0 at 1.90 Bet Now! 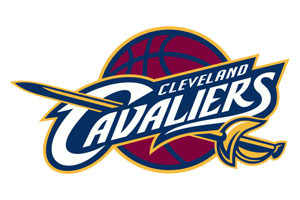 We’re ready to go with Game 1 of the 2015 NBA Finals and the Golden State Warriors welcome the Cleveland Cavaliers. 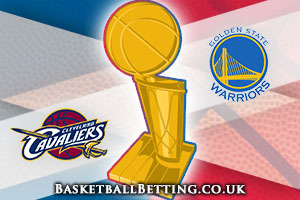 It has been a long season and while the Warriors come into this game as the favourites, they know that they are up against a team with plenty going for them, and a team who triumphed the last time that these two sides met. The teams met twice during the regular season and they split these matches. The teams first met on the 9th of January when the Golden State triumphed 112-94 in a game where they held a 36-3 advantage in fast-lead points. The second game on the 26th of February in a 110-99 win for Cleveland when LeBron James offered up 42 points and 11 rebounds. You can’t really read too much into those results, we know that both teams are good, and that they fancy themselves at home against anyone. This is a series where both of the teams will be under immense pressure and it may come down to who deals with the pressure in the most effective way. There is obviously going to be a great deal of focus on Curry and James for this one. Stephen Curry, the NBA MVP, is averaging 29.2 points and 6.4 assists this campaign and in the post-season, he has bagged 73 three point shots, which is a record. As for LeBron, he has averaged 27.6 points, 10.4 rebounds and an average of 8.3 assists. He hasn’t lived up to the three point shot record of Stephen Curry, but this year, not many people have managed to keep in line with Curry. However, given that LeBron is the first player to play in five straight NBA Finals since the glory years of the Celtic’s in the 1960s, you cannot dismiss him at this stage! The Cavaliers are currently 65-31 for the season and this includes a 28-20 record on the road and an 8-2 record in their 10 most recent games. The Warriors are currently sitting with a 79-18 record, including a 46-3 record at home, and they are 7-3 in their 10 most recent games. With respect to average points for, the Warriors lead 109.1 to 102.9 and for average points against, the Cavaliers have a slight advantage, leading 97.8 to 99.3. Will home advantage count for the Warriors? With only three defeats at home all season, the Warriors have to be confident at the Oracle Arena. They know that if they hold their home form, they will be well on their way to the series win, and that is the challenge for the Cavaliers. This is an opportunity to lay down a marker for the Series and if the Cavs can blow away that home advantage in the first game, we would have a NBA Finals that everyone wants to see. It is easy to talk like that though, actually triumphing in an arena where only three teams have done so this season is an entirely different matter. Taking the Cleveland Cavaliers with a +6 handicap, at odds of 1.90 is a strong bet for the opening game of the NBA Finals. If you are looking for the Over/under market, look to go OVER 203.0 at odds of 1.90. Bet Now!